Beauty sometimes lies hidden within the most offensive of objects. 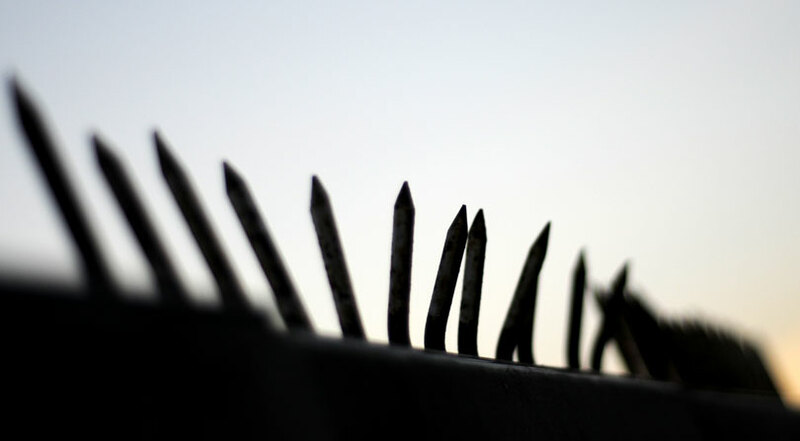 These spikes are atop a fence surrounding a big empty field of … nothing. I guess they don’t see much action. Great shot. Love the colors and the pattern.